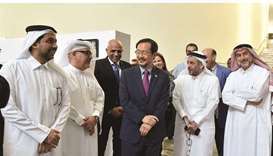 HE the Prime Minister and Interior Minister Sheikh Abdullah bin Nasser bin Khalifa al-Thani touring the exhibitions accompanied by HE the Minister of Municipality and Environment Abdullah bin Abdulaziz bin Turki al-Subaie and other dignitaries and officials. 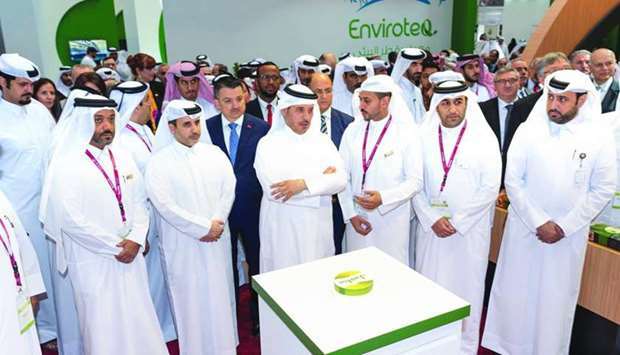 Under the patronage of His Highness the Amir Sheikh Tamim bin Hamad al-Thani, HE the Prime Minister and Interior Minister Sheikh Abdullah bin Nasser bin Khalifa al-Thani on Tuesday inaugurated the seventh edition of Qatar International Agricultural Exhibition (AgriteQ2019) and the First International Environmental Exhibition (EnviroteQ) at Doha Exhibition and Convention Centre (DECC). HE the Prime Minister also inaugurated at the pavilion of the Ministry of Municipality and Environment a project to plant one million trees, launched Mahaseel website and opened the registration for all state farmers to obtain marketing and agricultural services. HE also witnessed a presentation about the Hassad company and its services. A total of 450 local and international companies from 49 countries around the world are taking part in the exhibition this year. The opening ceremony was attended by a number of ministers, members of the diplomatic corps accredited to Qatar, and other dignitaries. Delivering a welcome speech at the opening, HE the Minister of Municipality and Environment Abdullah bin Abdulaziz bin Turki al-Subaie stated that the events stem from the importance that Qatar, under the leadership of the Amir attaches to the agricultural and environmental sectors. 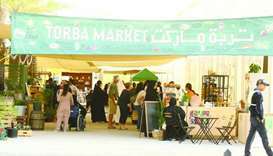 “In recent years Qatar has paid great attention to the development of the country's wealth, including agricultural sector, especially with regard to food security,” he pointed out. “The Ministry of Municipality and Environment has provided all means to support agricultural producers by distributing support materials, greenhouses, honey bee cells, seeds, fertilisers, pesticides, while livestock breeders are supported with concentrated feeds and machinery for milking and wool shearing. The poultry and fisheries sectors are also adequately supported. “All these efforts have led to increased production of local vegetables, dates and green fodder, and the number of animals and the breeders, and the country's production of fresh chicken, table eggs, milk and dairy products. The Ministry recently opened Water Research Center at Ras Matbakh, in support of the country's aquaculture sector. “The Ministry has launched several agricultural investment projects for the establishment of concentrated feed factories and the production of organic fertilisers. 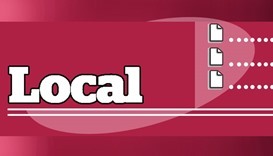 “Recognising the importance of contributing globally in combating environmental pollution, Qatar has been keen to harmonise its economic growth with the preservation of the environment, and has made environmental protection and development one of the pillars of the National Vision 2030 and its development strategies. “Qatar has acceded to several international agreements, including the Paris Agreement on Climate Change, in the belief that it is important to play an effective role at the global level in protecting and developing the environment and combating pollution,” the minister added. About 450 local and foreign companies from more than 50 countries are participating in the agricultural and environmental exhibitions, spread across 29,000sqm. The seventh edition of AgriteQ is described as an excellent opportunity to explore the wide range of agricultural products, machinery and technologies presented by the world's leading companies. The first environmental exhibition is a new platform for launching the initiatives of environmental sustainability in the sectors of energy, industry, water, transportation, sustainable urban planning and management, municipal and hazardous waste, as well as the commercial and service sectors and the opportunities in eco-tourism. EnviroteQ includes pavilions for companies, factories, bodies and universities presenting their achievements in terms of compliance with environmental standards in their operations and reflecting the development of their activities in terms of social responsibility and the growth of their industries and development roles. 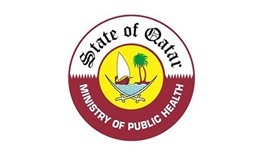 The events includes a number of workshops on the importance of sustainability of agriculture, livestock production and food security in Qatar, technology and innovation, agricultural investment and future plans to increase fish production, as well as other agricultural and environmental issues, including air quality, pollution, climate change and development of agricultural and environmental sectors in Qatar. On the sidelines of the two exhibitions, a conference will be held to exchange experiences, learn the latest practices and research on the most pressing issues and major challenges in the environmental and agricultural levels, as well as explore new opportunities in agricultural production at the local and regional levels.